Description: Book has wear with small cloth splits at the spine corners. Exposed and slightly splitting boards at the lower front fore edge corners. Soiling to surfaces. Paste-on picture on front is lightly soiling and scuffed. Creases to both front and rear boards. Bottom edge of rear board has been cut with a little material removed. 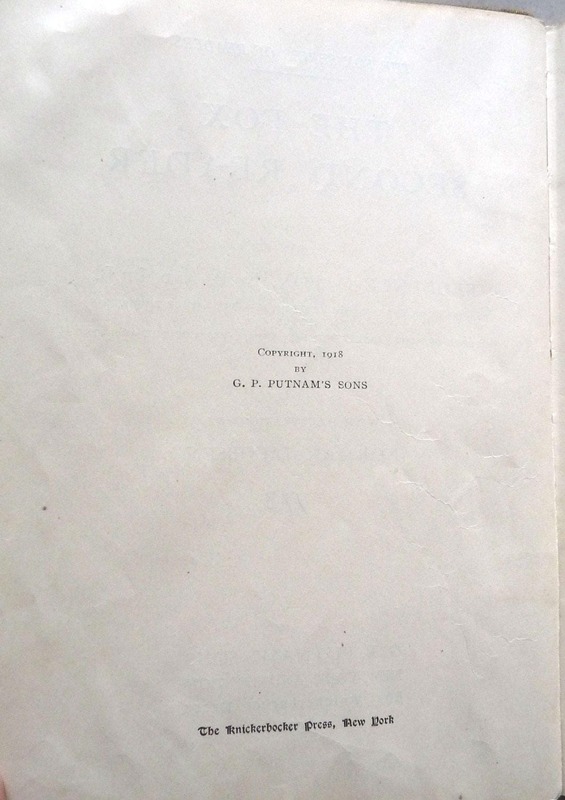 One detached page still present. 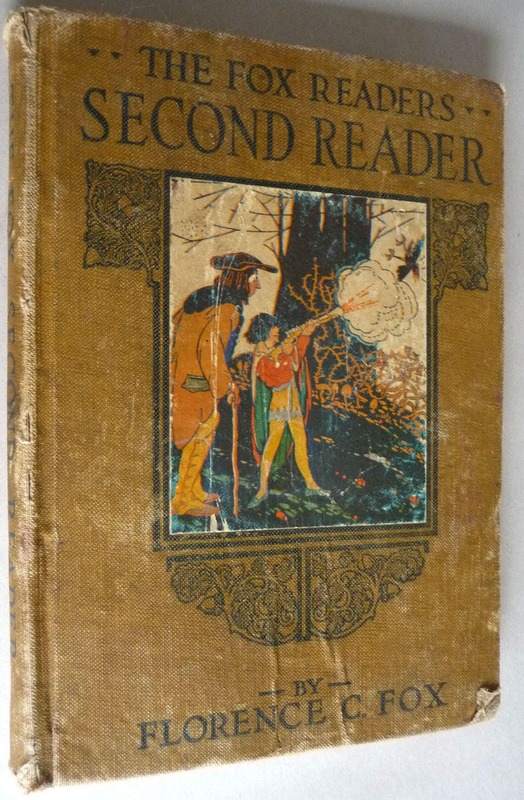 Ex school library book. Presumed first, 1918. No other printings indicated. 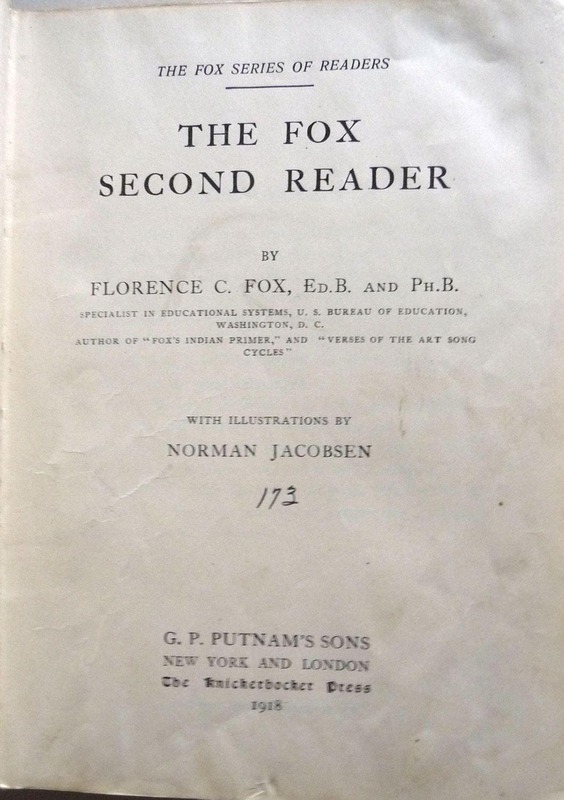 Part of the Fox Series of Readers.